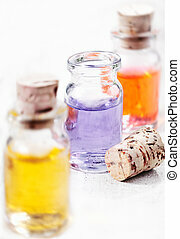 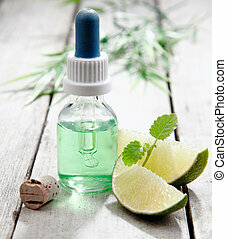 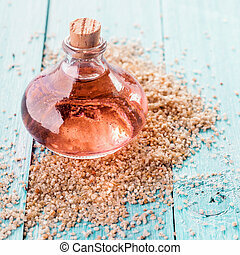 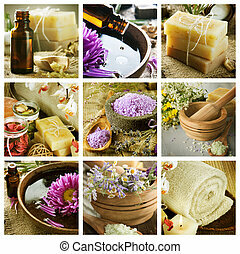 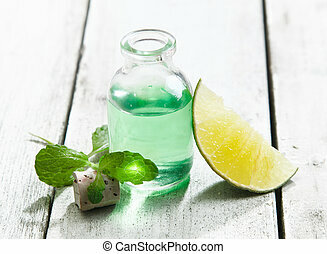 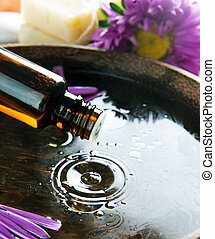 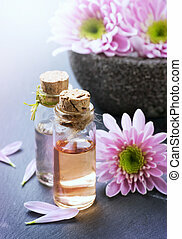 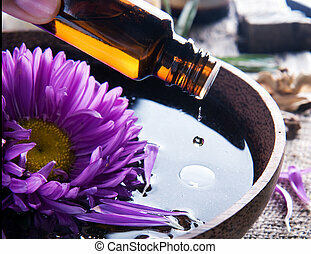 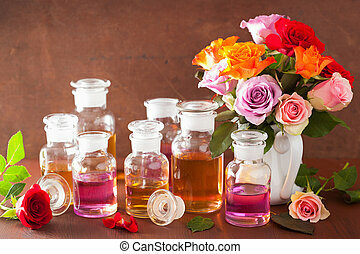 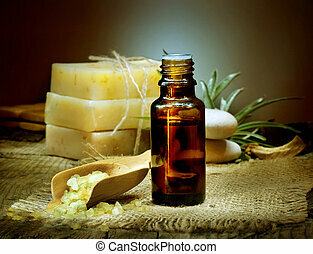 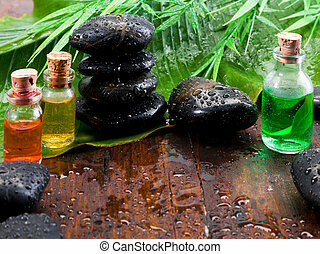 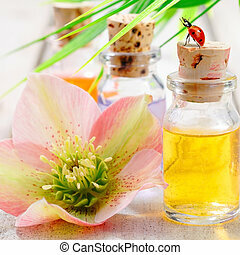 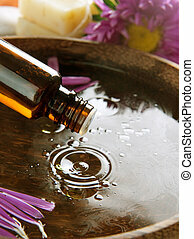 Essential oil aromatherapy treatment. 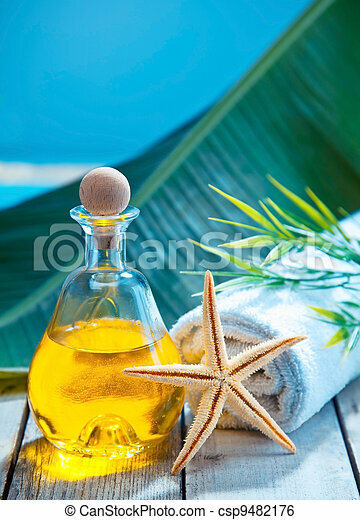 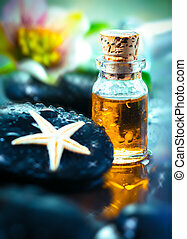 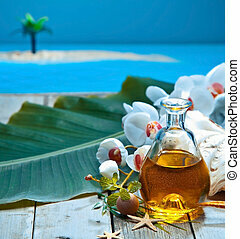 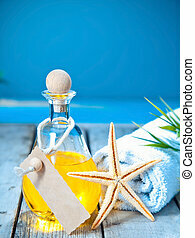 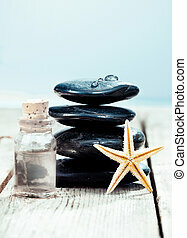 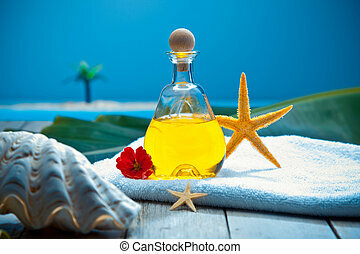 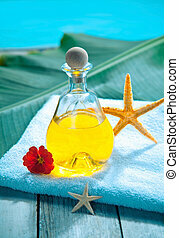 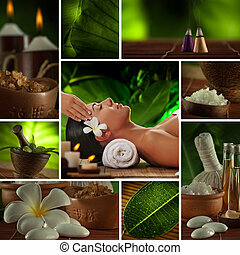 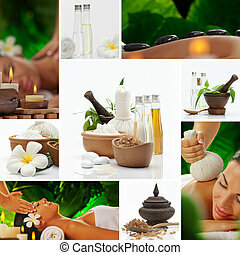 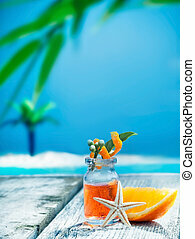 Relax with an essential oil aromatherapy treatment at a marine resort spa alongside a tropical ocean. 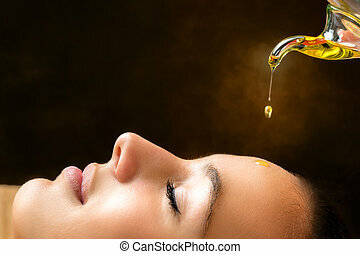 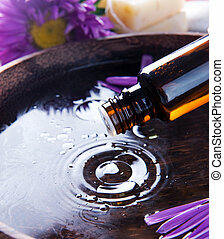 Macro close up portrait of young woman at ayurvedic massage session with aromatic oil dripping on face. 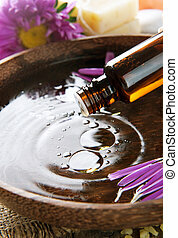 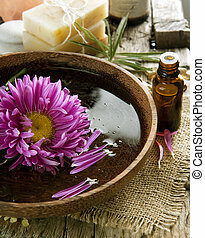 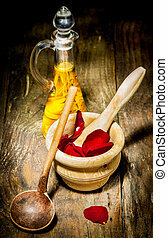 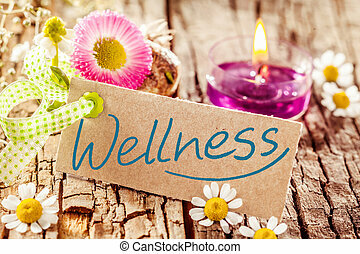 Wellness Care Treatment with rose leaves and ethereal oil on a wooden plate.